My direct appeal for us to support #WindrushDayOfAction 22nd June 2019. Brexit: My thoughts. A message to Jeremy Corbyn. Labels: Brexit, jeremy corbyn, Lee Jasper, racism. Lee Jaspers speaking on Immigration legislation in 1989. This amazing video was sent to me. It shows me giving a speech, 30 years ago, unbelievably on the issue of impending immigration legislation and hostile environment. The year was 1989 i was 30 and had hair. At time we were opposing PM John Majors 1990 Immigration Act, which we in the National Black Caucus, had dubbed the "Anti Black Family Bill"
Listening now, the speech is so prescient of what was to come. The warning so clear, the predictions, so tight, its actually scary. I carry the weight of the prophetic tradition, not in any mystical form, although all glory is to God, my burden is to look at policy and politics and reading the runes, I am able to make strong predictions. many of which reflecting, on my past writings and speeches, have sadly come true. 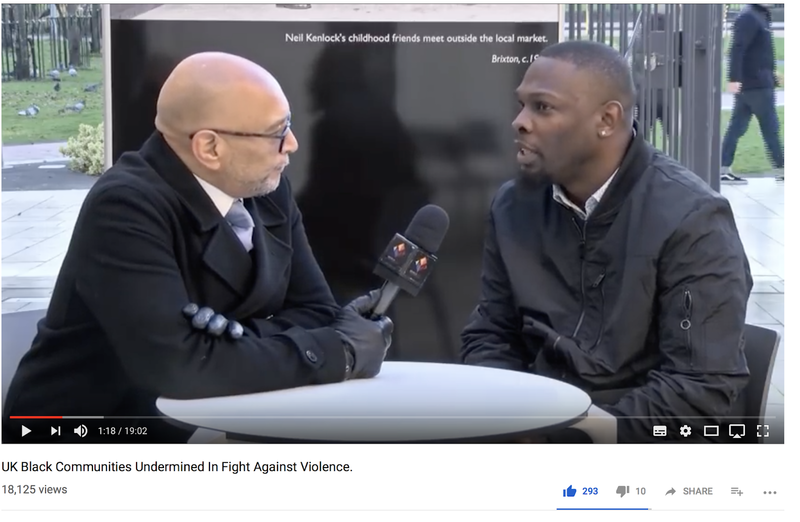 What I am pleased with, when I watch this video, is the fact that I have tried to maintain my principled opposition to racism, and organise our communities most of my life. But its not easy, imagine the sadness of continually ringing the alarm and then witnessing your words come true? That can be a blessing or a curse. Anyway, this all far to heavy for a Saturday morning, so take a look, at this rather handsome, radical, svelte, eloquent young man, with hair. I give you Mr Lee Jasper 1989. Enjoy. Breaking News: Gwenton Sloley, UK's leading anti violence practitioner, has been arrested by the Met again. You will, no doubt remember the case of Gwenton Sloley, one of the countries leading anti violence, anti gang practitioners, who was illegally targeted and arrested by the Metropolitan Police Service just before Christmas last year. 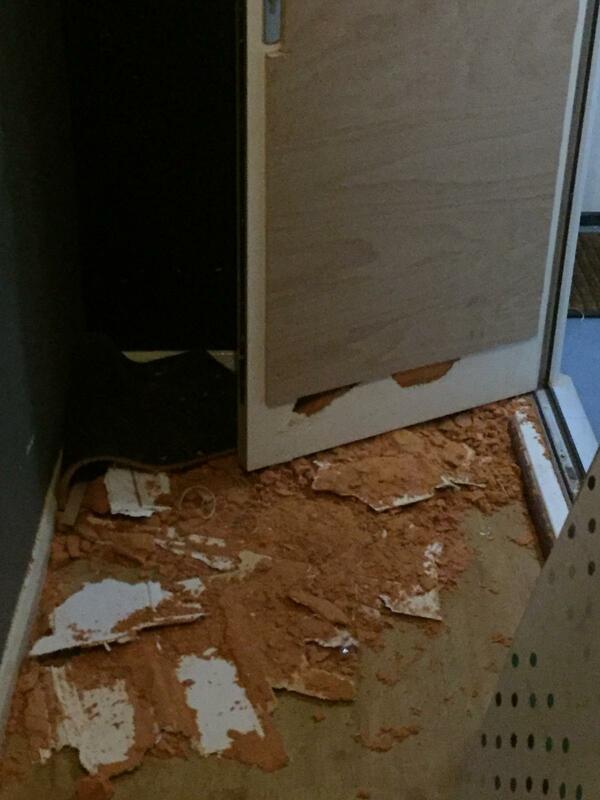 Unbelievably, the Metropolitan Police has arrested and raided Gwenton’s old home for a second time. Please make sure you subscribe to both my YT channel and this blog. 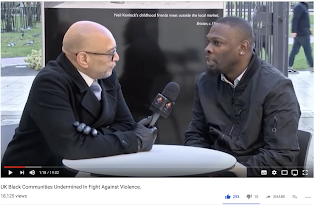 Please like the video and most importantly, given the mainstream media boycott of these type of issues, that you share industrially all over the social media. Gwenton was initially snared into a Met police investigation, which had absolutely no connection to him, when they ‘mistakenly’ raided his home in October last year. In the first raid they claimed they were looking for a previous tenant, who last lived at Gwenton’s current address, some 5 years previously. Prior to that raid, the Met Police were caught off guard, attempting to tamper with the lock of Gwenton’s front door, some 4 days prior to the police raid. Plain clothes officers were witnessed trying to pick the lock on his front door seeking to gain entry to his property. After the raid, the police, then disgracefully disclosed his address to the public. As a result Gwenton was issued an Osman warning by the very same Lewisham Police who disclosed this address. An Osman warning is an official police notice, informing him that his life was under threat, as a consequence of the police disclosing his address and advised him to leave the property immediately. He hasn’t stayed at his old property, since that initial raid in October 2018. Then, unbelievably on the 22nd January 2019, against a backdrop of rising outrage and concern expressed by many politicians and community leaders. the Met Police stepped up their harassment, and provocatively arrested Gwenton. 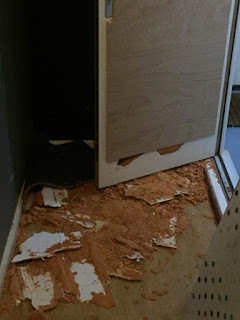 Despite raised concerns about the first raid, the Police raided his old home yet again, literally busting down the front door, whilst simultaneously planning to arrest Gwenton who was out driving with his wife, in central Croydon. In order to do that the Police must have been following Gwenton, that means the Metropolitan Police, instead of focusing on arresting real serious criminals in our community, is spending time spying on, following and harassing Gwenton. He was arrested at 3 PM in the afternoon and released at 12 midnight. Whilst at the police station, the police seemed confused as to what charges Gwenton should face and were admonished by the Custody Sergeant, who told the arresting officers, to go away and get their story straight. Unbelievably, when they finally determined the basis of his arrest they cited "new intelligence" that they’d secured from the second raid on his old home. This "damning evidence" turned out nothing more than a parking ticket. Stop right there people, okay back it up and reverse it. A parking ticket? Are you kidding me? What the hell is happening to Gwenton? It appears to me that the Met are intent on, smearing his good name, as well as finding any old excuse to harass and arrest him. I suggest to you they're trying to provoke a reaction out of him, no doubt so they can find a meaningful basis to arrest and further discredit him. It was also reported to me, that the Mayor of Lewisham was told that Lewisham Police officers, that they had found "drugs" when they initially raided old Gwenton’s home, that’s simply a stone cold lie. This is pure political and illegal harassment by the Metropolitan police. My first You Tube interview with Gwenton, immediately after the initial raid, attracted over 18,000 views, and sparked lots of additional news coverage. Why is this happening you may say? In short, the Metropolitan Police Service, I believe have targeted Gwenton because of his relentless commitment to challenging the routine failures of statutory agencies. to adequately safeguard families whose children are at risk of serious violence or criminal activity. These failures are most tragically illustrated by the case of 7 year old Lewisham boy, Joel Uhrie, whose Mother begged both Lewisham Council and the Police for protection. She feared for her family’s safety, after her wayward son was recently released from prison. Gwenton supported her desperate pleas for help. This mother was ignored, and as a direct consequence of Lewisham Council and the Metropolitan Police Services failure to rehouse this family, resulted in the utterly avoidable and tragic murder of Joel. Such catastrophic failures, will only serve to reinforce a deep reluctance by the community, to approach the police when families fear criminal violence. This is a case of national significance for all of those working in the practitioner field of violence reduction and safeguarding, the implications for which are profound. Lewisham Councillors begin to ask questions about Gwenton arrest. .
Lewisham Council has subsequently launched an "official inquiry" into this case, but after the avoidable death of a seven-year-old boy, such a clumsy, bureaucratic response appears woefully inadequate, lacking in empathy, apology or acknowledgment of responsibility. Gwenton believes he was targeted as a consequence of refusing to keep quiet, about this and many other statutory failures that exposed the cruel realities of the lack of safeguarding support in Lewisham. These issues will deeply affect levels of public trust and confidence, and many families, may well now decide to make their own arrangements to keep their families safe, rather than approaching the police or local authorities. Practitioners in the arena of violence intervention, need to read about this case, and make sure that they are not being targeted, set up, undermined, by their local police constabulary and local authorities in their areas. The acute and tragic failure of Lewisham Council to prevent the avoidable death of a seven-year-old Joel amounts to a national scandal that has barely registered, above the frenzied, news media, hubble and bubble of Brexit, but which nevertheless, has resonated deeply into the soul of British black communities. That's why we need your support to ensure that you share this story right across social media. We rely on you to help us to campaign, challenge and break the back of institutionalised racism and political harassment by the Metropolitan Police Service. The Metropolitan Police Service, appears to be engaging in "fishing trips" intent on finding something, anything they can charge Gwenton with. This second raid is deeply provocative, offensive and will further aggravate and inflame community tensions with the police. Further, how is it that confidential Police emails, end up in the public domain, compromising Gwenton right to privacy and constituting a gross breach of data confidentiality? We are still awaiting the actual detail of why, and what basis the Met raided his old home for a second time. As I stated earlier, I suspect that Gwenton is the victim of an on-going police campaign to falsely arrest and charge, him in a determined attempt to smear his name, marginalise his voice and discredit his evidence. In another curious twist to the story, the confidential email sent to a member of the public, was actually delivered to a young Mum, who was dealing with her own son, who had been involved in gang activity. She had volunteered to take part in a training video with the Metropolitan Police Service told her would be used to help officers and practitioners understand the consequences of violence and its effects on families and communities. She was reassured that the video would not be for public use, and agreed to take part. She subsequently found out, this police training service video, was made publicly available on You Tube, without her permission or knowledge and thereby endangering her and her entire family. So in a curious twist, this mother was sent, by mistake confidential details around Gwenton’s initial raid, arrest and release. Of course she complained bitterly and pointed out, that not only had they compromised Gwenton's confidentiality, Lewisham police had also placed both her and her family in real danger, by publishing what was supposed to be a police training video, in the public domain. There is a serious and critical failure to provide protection to those families in danger of criminal attack or retribution, as a result of their children's violent lifestyles. Desperate for help, these families approach the statutory authorities, only to be faced with the galling reality that in many cases, they cannot be effectively helped or supported. Watch my interview with four prominent black men who were arrested above. Ask yourself, why the Met would target men like them ? All of whom are leading members of the community, all with outstanding individual track records in seeking to improve community relations with the police ? It beggars belief. 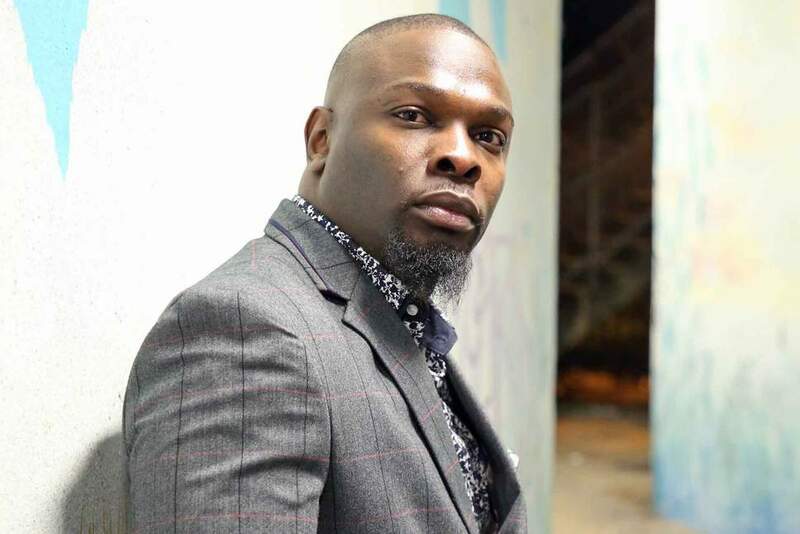 You can see my interview with Stafford Scott about his arrest here. Like Gwenton, all have either faced harassment, arrest and malicious prosecution by the police. These include people like Stafford Scott, Ken Hinds, Cllr Mohammed Hashi, all prominent community leaders targeted by the Metropolitan Police Service. The political implications for London should be clear, firstly the Mayor has to get a grip of what has now developed into an acute crisis of confidence between the Met and London's black communities. This crisis also includes the statutory response to youth violence, in particular London's ability to effectively safeguard and support families when seeking to tackle rising violence. Slip streaming this crisis in police relations, many local councils and statutory agencies are also failing to adequately safeguard black families at risk. In light of these two cases, there is great specific concern about Lewisham Council and the Metropolitan Police Service. Their combined failures and hostile intent have combined to acutely aggravate community relations and public trust in statutory authorities. This can only further undermine the already precipitous and toxic state of black communities relations with both the Met and many statutory safeguarding agencies and organisations in London. The Mayor or the Home Secretary must intervene, listen, recognise and respond to London black communities, who are becoming increasingly alienated and enraged as a consequence of the toxic deterioration of police/community relations. That Gwenton should be subject to yet another baseless police arrest, continue to suffer, the on going campaign of police harassment and intimidation should be condemned by all deceit people. Those responsible for the failure that led to Joels Uhrie's murder should be held to immediate account. 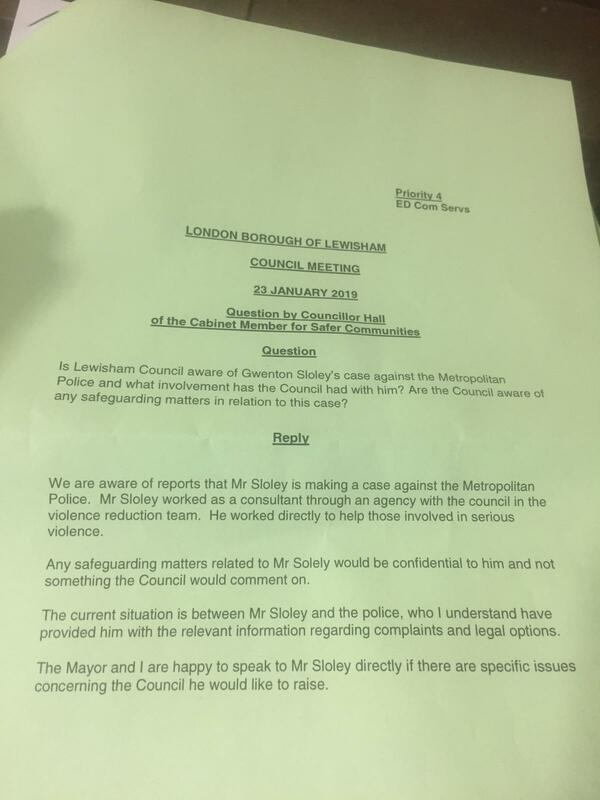 The Mayors of London and Lewisham, their advisers, the Home Secretary, all need to urgently look into this case and intervene focusing on Lewisham failure to protect Joel, and prevent the disgraceful hounding of an innocent man and the active prosecution of profound injustice. BAME Lawyer 4 Justice is an umbrella coalitional campaign against group challenging Windrush injustices and the Government hostile environment. We are an umbrella platform comprising of Society of Black Lawyers, BARAC UK, Blaksox, Windrush Action & a number of Windrush campaign groups across the UK. We campaigned in response to the unfolding Windrush scandal calling for all deportations, including charter flights to the Caribbean, to be stopped. We advocated, organised and made representations to the Home Office and launched an online petition signed by 10000 people. As a result of this, alongside the work of many activists organisation, the planned charter flight to Jamaica in the spring of 2018 was cancelled. Charter flights to Jamaica, but not other countries, were suspended. We condemn the resumption of deportations charter flight to Jamaica. A flight left the UK bound to Jamaica today. We are shocked and appalled at this action, particularly as the government, has not received , nor has the pubic been informed, about the conclusions of the many Windrush Lessons Learned review. The resumption of these deportation flights is a grievous an appalling insult to the principles of justice and fairness. We understand that at least 15 people were prevented from being deported, by the actions of their lawyers, supported by campaign groups,. So that’s at least 15 people who may not have fitted the Home Secretary’s description. We are delighted that with your support we were able to have former British solder Twane Morgan, taken of the plane in a last minute legal action. The Home Office approach to fundamental rights of returnees has been cynical and inhuman. We commend Twane’s legal teams, Shivani Jegarajah, of Justitia Chambers and Rachel Okello of Rogols Solicitors both who represented and acted on a pro bono basis, recognising the importance of the principle of access to justice to everyone including foreign national prisoners”. We have no confidence in the ability of the UK Border Agency to treat people fairly and in accordance with the law. We don’t believe that the public would support deportation in many of these cases, were the details of their individual circumstances known. We call upon the British government, to stop all deportations, until such time as the lessons from Windrush can be properly learned, systems reformed, and equality of all citizens before the law can be equally guaranteed, without regard to race. We full support the Stanstead 16 who is in court today after protesting a deportation flight in March 2017 and we note the extraordinary escalation of their charges by the Crown Prosecution service. If these flights continue, we may see many more such protests. “It is irresponsible and inhumane to conduct wholesale deportations of people, tearing them from families & demonising and labelling them. I have been leading the campaign for justice for Twane, who has literally been used by the British government & then neglected & discarded . It has been a rollercoaster 24 hours, a high court injunction granted last eve, only to be contacted by Twane in the early hours of this morning with the news that he is being transported to the airport & being deported. Twane was put on the plane, cuffed to two security guards then taken off just before take off. “The Windrush scandal is matter of utter national shame and disgrace. That Her Majesties Government, would embark on a such a campaign, targeting Black British citizens with illegal, forced, detention and removal. is not only morally reprehensible, but strikes at the heart of fundamental concepts of justice, fairness and equality before the law. This Government. has unilaterally cancelled the social contract between the state and British black citizens.The consequences are devastating. Peoples lives are being destroyed. and yet this Government seems intent to ride rough shod over the rights is these deportees. Their egregious action is an outrageous calumny, a barbarous and inhumane example of state institutionalised racism in practice." “These deportation charters are of grave concern. They are shrouded in secrecy and there is no adequate mechanism for ensuring that people on them have access to quality and independent advice. To date we do not have accurate information about who was on this one and there is no evidence to support the Home Secretary's claim that it was full of very serious criminals, notwithstanding the fact that in many cases we're talking about people who are settled in the UK and already punished for any crimes. We will be holding action-planning events in various cities, across England, in preparation for our Windrush National Day of Action, to take later in the year. Planning meetings will take place simultaneously, on the 23rdFebruary and are supported by Windrush campaign groups under the umbrella of BAME Lawyers for Justice and panned to mark United Nations World Social Justice Day. We call for on the country to do the right thing, join us and our campaign for justice and support our call for an Independent Public Inquiry into the Windrush scandal. receive from the British government, when travelling or working abroad and who find themselves, victims of crime,? Given the Windrush scandal, where black British citizens were forcibly and illegally deported, despite having all the objective evidence necessary, proving their British citizenship, it is perfectly reasonable, to ask what support do black British citizens get, from British embassies, when they find themselves in trouble, and facing racism whilst abroad? There are many examples in the recent past, where Black citizens have complained bitterly, about the failure and deep reluctance of British embassies, to provide support for black British citizens who complain of racism and profound injustice whilst visiting many countries around the world. One such case is that of Mr Leon Koffi. Leon is a British citizen, who initially migrated to the United Kingdom. from the Ivory Coast in 1994, and looking to expand his career and economic horizons, sought to apply for a variety of new jobs both in the United Kingdom and Europe. Before we start the story proper, Leon reports he tried desperately, to get British media to cover this incident, and none of them were prepared to do so. In coming to me and publishing this story, I hope to shine a bright light on this particular injustice ,but we, can only do so with your support in ensuring this article receives the widest possible publication. What happened to Leon Koffi, should serve as a profound warning, to all people of colour seeking, to live or work in the former Eastern Bloc nations, now European countries. 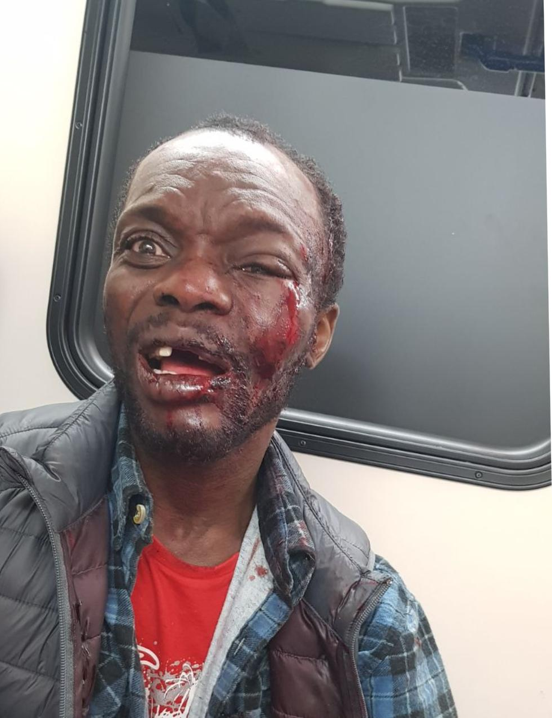 The British Embassy will not help you and just as you endure third class citizenship, here in Britain, you will find your British citizenship counts for nothing, when encountering vicious and violent racism abroad. After making a number of job application, Leon managed to secure an interview with a company called Concentrix, with an office in Sofia, Bulgaria, and as a result of his ability to speak French, he was finally offered a job in e-customer service. Leon excitedly flew out to Bulgaria on 19 May 2018. Once he arrived in Sofia, he couldn't help but notice the singular looks of shock and disgust on the faces of some Bulgarian people. When his luggage went missing, he soon found out that Bulgarian Airways staff, seemed to have a problem with Africans in their country. The communication with him was abrupt, rude and utterly ineffective and Leon was forced to leave the airport without his luggage and with no explanation as to when and where is luggage might be. Although. Leon initially received a warm welcome from his colleagues at his new place of work Concentrix, he soon became aware, that his face didn't fit in the pristine white, cultural environment of this company. He speaks movingly of being marginalised, denied customer facing roles, and suffering the assumption that Bulgarian staff could speak better English and French, than he could. After six months of marginalisation and surviving on a low salary, without any professional respect or regard for equality and diversity, Leon decided to look for another job. He subsequently found a job, available in the same building, as his old firm with a company called Service Source. Leon decided to take it. Now, he was earning more money and his work colleagues seemed more friendly. Leon was eager to make new friends and eventually was befriended by a young Tunisian guy named Aziz. He and Leon became good friends. On Saturday the 29th September 2018, Leon set out to meet a friend who was visiting him from the Ivory Coast. His friend arrived late that day, so he decided to visit his new found friend Aziz who lived nearby. After a brief phone call, they then decided to meet at the local McDonald's in downtown Sofia. Once arriving there, Aziz introduced him to another friend and all then decided to Aziz's new fiends house. in Sofia’s town centre. Unbeknown to Leon, there was a local football match taking place that day, a fierce derby, between local, Bulgarian teams, Levsky Football Club and CSK. In the past, there have been many occasions, where other minorities were openly attacked, in front of the Bulgarian police officers, without any interventions or arrests on their part. The day was about to get much worse, as a marching the city centre, was taking place led by Bulgarian neo-Nazis. Everybody in town knew to stay away. As they were all making their way to their friends local home, they came across, what Leon thought, were police officers, in formation doing drills. Whilst asking his friend exactly who these people were, he immediately saw a group of about 50 of these uniformed thugs running towards him. As he tried to get away, he was set upon and viciously and round house kicked in the face. The force of the blow, literally threw him across road, into a advertising billboard. Leon reports. that when he got hit in the face, he saw a bright white light and felt he was outside of his physical body, and although he could see and hear his body being physically assaulted, he reported that it felt like it was happening to somebody else, and that he was an outside observer, hovering above his own body. He reported, several periods of leaving his body and drifting in and out consciousness, during one episode he heard a voice say to him "I made it, I will fix it" and in that moment snapped back into his physical body and began to feel the profound pain is mind had shielded him from. He credits Almighty God himself, with literally saving his life. Two Bulgarian police officers, visited him at the hospital, where he gave his first interview. 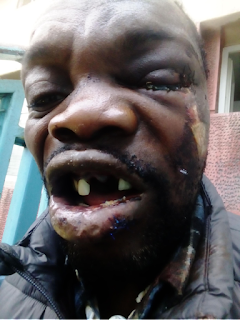 Despite being busted up, the officers insisted that Leon was not a victim, but the witness to an attack,. They refused to accept that Leon was the victim of a brutal, racist beating. He was also visited by a woman representing the British Embassy, who told him after offering some basic information leaflets, told him bluntly "there is nothing we can do for you." They did, however assist him to find an English-speaking lawyer to represent him, although it became immediately obvious, that he could not afford the cost of such representation. Leon stayed in hospital for two weeks, and was treated for a broken jawbone, massive facial bruising and deep and severe concussion. He had to have his teeth replaced as well as several painful operations to fix his broken jaw. He took a hell of a beating and, as the pictures demonstrate, he was lucky to escape with his life. This could so easily, could have been another tragic, racist murder. The necessary hospital operations proved to be excruciatingly painful, with screws being placed into his jaw and removed without any local anaesthetic. Leon was in deep pain and unable to eat for many months. The case was featured on national Bulgarian television news and on local Nova TV. As a result, the case gained national traction on social media. Leon then became the target of vicious internet trolls and Bulgarian neo-Nazis. He says it appeared to him, that the country was split, between those who supported him and those that he had thought he had lied and was seeking to bring the country into disrepute, or falsely extract cash from the authorities. As a result, he felt real and present danger. The case had led to Leon bing dubbed and identified in the local media as "the first black man, brave enough to speak openly about Bulgarian neo-Nazi racism." Leon reports that the British Embassy, showed very little to no interest at all, in providing him with support. He states that they, didn't seem to believe that he was the victim of a vicious racist attack by neo-Nazis or they simply didn't care. They offered him virtually no support throughout this period. Once he left hospital, Leon was being followed, harassed in public, and threatened. As a result he was further psychologically traumatised, deeply fearful, and living in constant dread of another attack. Being one of the few Africans in Sofia Leon was easily identifiable. His neighbours and friends followed by protection team such were their fears for his public safety. On seeking to return to work ,after a slow period of recovery, Leon was shocked to discover he was now sacked from his place of work, as a consequence of "opening your big mouth on television." On returning to the United Kingdom, he was forced to claim Universal Credit and suffered enormous hardship and abject poverty, as a consequence of being sacked He was forced to survive on vouchers and food banks, while he appealed the decision to deny him benefits. Thankfully the local Ivorian community stepped in and insured provided support for his basic living needs. Leon reached out to his local Labour MP Gill Furness, after being refused Universal Credit and although she was fully informed about everything that happened to him and was initially helpful, of late he’s heard nothing for else from her. Leon should receive a full apology from the Bulgarian government, compensation for the brutal beating and serious injuries he sustained,. He also needs to be fully compensated for his loss of income, trauma and emotional distress, he's been forced to endure as a constant consequence of being the victim a racially motivated crime. British embassies must be given immediate guidance and need to be made aware of what to do, when Black British citizens become victims of racism.. It is incumbent on the British government to ensure that British embassies are trained and can provided the necessary resources and support that can assist our citizens abroad. The services offered by the British Embassies must reflect the needs of our multicultural population. When black people travel in the world, I would strongly advise that they seek additional insurance for legal representation in a country they are visiting, working or residing. I would also ensure you do some research, in looking at the history of racism and fascist activity, particularly in these Eastern Bloc countries, where popular fascism has become deeply embedded in the national culture and the institutional organs of state. For press interviews with Mr Koffi please contact Lee Jasper. Now Updated: Rasta Elder Thrown Off Coach Despite Having Valid E-Ticket. 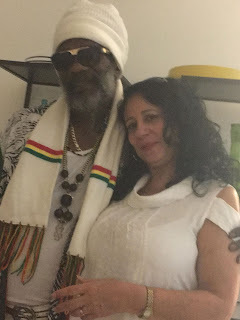 Most of us will remember the case of Rasta Judah 68 years old, a police community worker from Bristol, with a 30 year track record of working with police, who was himself was arrested and tasered, by Avon and Somerset police, in January 2017. Well it appears, this i's not an isolated case, in fact, we are seeing increasing numbers of both the young and elderly, being unfairly harassed by police officers. Now we hear of the disgusting treatment of a 58-year-old man, Gilbert Watt, making his way to work, from Cardiff to London in the early hours of 28.01.2019 was summarily thrown off the coach, by South Wales police, despite having a valid ticket. Mr Gilbert Watt and Hilary Brown. His long time partner. Ms Hilary Brown, had purchased an e-ticket for Gilbert Watt, a six-foot Rastafarian black man, to return to London Victoria Coach Station from Cardiff, Sophia Gardens. It's a journey been making every weekend for two years without any problems. Gilbert was lucky, his partner just so happens to be Hilary Brown, a long time rights campaigner now successful and now business woman. Hilary is a proud Welsh black woman and more importantly owner of Virgo Legal Services Ltd, with offices in both in Wales and London. Hilary had dropped of Gilbert at Cardiff coach station, at around 02.20am. As usual he and his partner said their goodbyes and Hilary then left and he attempted to board the Coach. The coach driver of the London bound coach was about to check his ticket and out of nowhere another driver, claiming to be management, instructed the London coach driver not to let Gilbert on the Coach. When challenged as to why by the London driver, he was told that Gilbert did not have a "paper" ticket. Gilbert continued to state that he did not need a paper ticket, as he had an e-ticket, a ticket he had used, every weekend for the last two years. As Gilbert was making his case, the manager/driver was becoming enraged and demanding that he be refused entry to the coach. National Express: No Black's Allowed On Our Buses. Gilbert boarded the coach, and why not, he had every right to do so. He had a valid ticket and had made the same journey 1000 times previously, without any problems. He needed to be in London to start work at that morning. The driver of the London coach then approached Gilbert now on the coach and said " the manager said this coach cannot leave Cardiff, with you on it." Gilbert, now quite shocked and alarmed, calmly stated again, that he had a valid ticket and needed to be in work in the morning and was staying on the Coach. Gilbert was told he had to leave the coach and although he explained he had to get to work for Monday morning. Despite his pleas he was not advised by the manager, that he could have simply bought a new ticket, from the driver. That was not offered nor was he advised, though we now know, this is standard practice. Instead he was told in no uncertain terms, to get off the coach. He was advised that his only option was to catch the next coach, resulting in him being very late for work and losing a full days pay. The driver then informed him that the police were being called to remove him from the Coach. In the freezing cold, in Cardiff bus station, in the early hours of the morning, two police vans arrive with 4 uniformed officers. They boarded the coach and Gilbert showed them his phone and the ticket reference number (which is all that is needed). The police went, up and down, back and forth between Gilbert and the manager/driver and bizarrely, despite having a valid ticket, Gilbert was then ordered off the coach by the police. Not knowing what to do, Gilbert rang his partner and she arrived at the Coach station to find that the police refused to let Gilbert back on the Coach which had by this time left, leaving Gilbert stranded 150+ miles away from where he needed to be to get to work. Gilberts partner then asked police officers why they had insisted that Gilbert get off the Coach. One Police officer stated that Gilbert showed the driver an incorrect reference number. Gilberts partner then immediately took Gilberts phone off the police officer and showed the officer the Gilbert had the correct reference number and shown to the drive, and that is all that is legally required. She further demonstrated to the police officers, that she had purchased the ticket and had sent a copy of it to Gilbert and showed the officer the email and reference number sent her home phone, and then her message forwarding onto phone onto Gilbert. A police officer took the phone, and showing it to another employee of National Express, returned stating that as Gilbert's partner had purchased the ticket, then Gilbert would not be able to travel with that ticket, as it is not in his name. All the officers disagreed with Gilbert and his partner. They were all asked for their collar numbers. The female officer gave Gilbert's partner gave all their numbers, as the male officers, having been challenged about their racism, were now reluctant to speak to her directly. "Having an incorrect name on your ticket won't affect your journey, as our drivers only look at the validity of your ticket." Even if, the police officers believed that Gilbert's ticket was invalid, why was he summarily removed from the coach, instead of being offered the alternative of purchasing another ticket, an option clearly articulated on their website? It's precisely this kind of incident, that on any other occasion can go tragically wrong. Had Gilbert had a different temperament, was a much younger man say, then this encounter could have altogether different and potentially been much more serious. 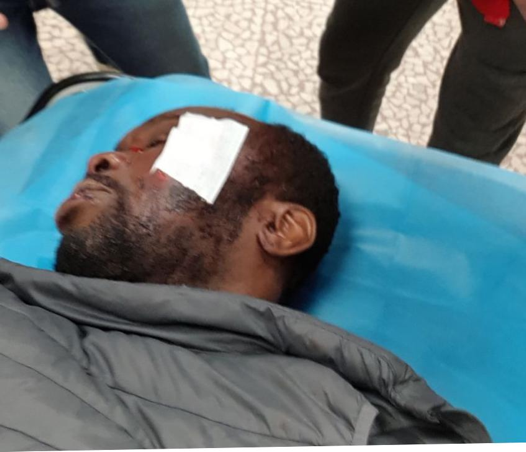 It is these kinds of incidents, that continue to alienate black communities from the police, and reinforce the notion that racism in Britain, is seeping into every aspect of our lives. It was Hilary who collected him in the middle of nowhere, and knowing the law in detail, she knew what his rights were. Now imagine if Gilbert had been 21 and alone in Cardiff on that bitterly cold morning? And what of National Express Coaches, what will be their response? My view, what it's worth, is that the offending manager should be suspended, investigated, disciplined and sacked with immediate effect. We keep seeing repeated example of this everyday racism, that imprisons, infuriates and angers black communities nationwide. When we complain, we’re the bad guys, when we stay silent then there is no racism. Yet everyday racism is increasing, new stories come to light every single day, whether it's kids being banned from school because of their hairstyles, black and Asian people being refused job interviews, because of their names, police stop and searches that go tragically wrong, these are the everyday isims and schisms we continually face as a community. We spend our lives in this country being routinely disbelieved by white people. Everyday question, everyday disbelief, everyday challenged, it cannot go on. As for Gilbert, well he should now be handsomely compensated for this gross infraction of his human rights, his embarrassment, and any subsequent loss of income earnings he suffered, and all of this should be paid immediately by both the South Wales Police and the National Express Coach company. 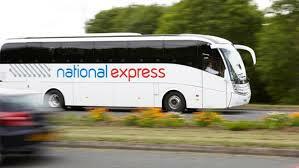 Update: The National Express Manager, when initially asked for his name, at the time of the incident, by Mr Watt's partner, Ms Hilary Brown, lied and gave a false name. The day after the incident, we were able to ascertain the mans real name. Why did he lie ? Sarah Reed: A Black Woman Victim of Vicious Police Assault Found Dead in Her Cell. UKIP, the Metropolitan Police Service and high corruption . The War on drugs. Is this really a war on us? A youth event. UK Top Anti Gang Worker "Raided" By Police. The Empire Strikes Black: Black People and OBE’s.